The class session will introduce participants to the concepts, methodologies and tools employed in web application penetration testing. Starting from using automated reports through scanners to more detailed manual testing, analyses of findings, verification and validation through secondary tools, to penetration and execution of exploits to obtain system access and compromise. Virtualization: Concepts, use, options, install, setup to local private environment that will have pre-configured virtual machines with applications that participants can connect to for testing and penetration testing. Applications, Programs, Scripts, Configuration – Download, install, configure tools for class exercise, almost all open source. A couple are trial versions, and may require a quick registration. HTTP Basics – Basic concepts of web service, HTTP, HTTPS, TCP. Tools – OWASP ZAP and Burp Suite Pro – overview of features, use, settings. Using scanners, automated reports to gather information, footprint a system and application. Have some familiarity with Linux, basic file and script editing, and running and piping commands from the Linux terminal. 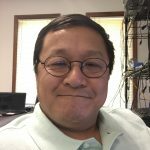 Johnny Chuah has been with MicroSolved, Inc since 2015 as a security engineer. Prior to that, he taught databases, servers and security at Hocking College for 14 years and was an adjunct faculty at Franklin University teaching Windows Administration for 8 years. He is deeply motivated to sharing and helping others be more security aware with networked devices and applications.